When Luke Jackson casually enthused on social media about the new Parker Millsap album, an instant connection was made and subsequently confirmed following this double billed gig welcoming Luke back to the Hare and Hounds in Birmingham. Not only are the two of a similar age but their approach and style of music interpretation possesses an uncanny resemblance making short shrift the mileage gulf between the sparseness of Oklahoma and the English garden county of Kent. Both belie their young years with a fathomless extraction of bone and soul to present a raw sound rich in spirit and outstanding in its level of competent appeal. Mixing with established singer-songwriters such as Amy Wadge on this dual set tour, will do no harm in Luke’s development alongside prestigious support slots with artists of the calibre of Martyn Joseph and Marillion. Yet as soon as Luke took to the stage for this intimate show you felt in the presence of a special talent gathering momentum in the art of captivating, entertaining and committing one’s artistic creativity to the wonderful medium of song. Only the second song into his set, Luke ditched the guitar, moved into expressive gear and transfixed the audience with a version of Sam Cooke’s ‘A Change is Gonna Come’. When adding finger picking prowess to a voice succumbing to the pull of the folk/blues, Luke primarily delved into his latest album FUMES AND FAITH to add a touching lyrical twist to a blossoming aura. With this album approaching its first anniversary, Luke politely asked for space to reveal a totally new and untitled song which instantly funnelled from performer to audience laden with melody, class and impact. Can’t formalise the feedback any further but hopefully you get the point. 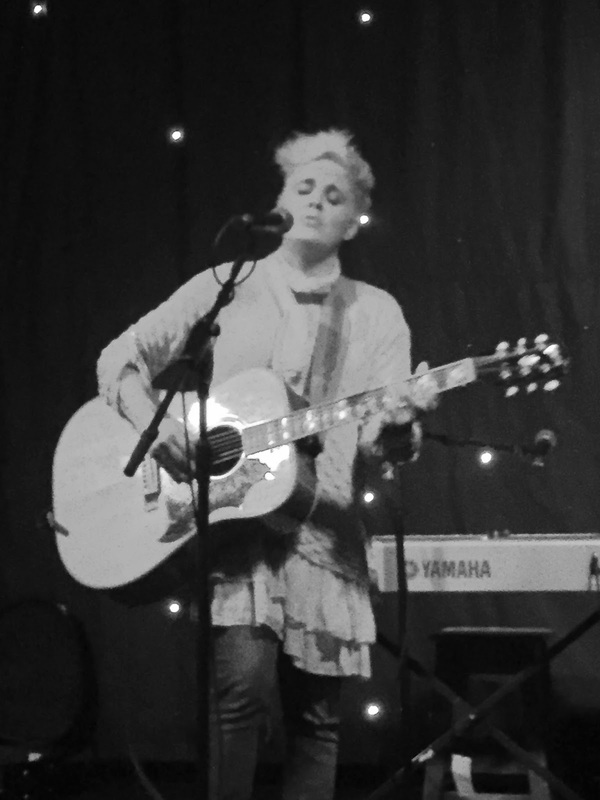 The opening set by Amy Wadge was characterised by the removing, layer by layer, of any inhibiting façade to reveal an artist determined to leave an impression and one you had little difficulty in ultimately believing in. Songs from her lengthy recording career flowed in an unabated style, none more lucrative than a contemporary million seller cut by Ed Sheeran and gliding Amy all the way to the Grammys in LA. Perhaps ‘Thinking Out Loud’ is poetic proof that one day your ship will come in to reward no shortage of perseverance, determination and belief. However California and those cheques were temporarily put on hold as Amy promoted, via guitar and keyboards, material from her new EP, older songs reflecting her introspective writing style and also joined Luke for three lauded duets. There were indications from other observers around the country of Luke and Amy planning a curious finale with this culminating in a montage of several popular songs interpreted with impeccable finesse and including favourite standards such as ‘Ain’t No Sunshine’, ‘All Along the Watchtower’ and ‘Ain’t Nobody’. Possibly more stunning was a few songs earlier when Luke invited Amy to sing a wonderful duet part on ‘Memory of You’. 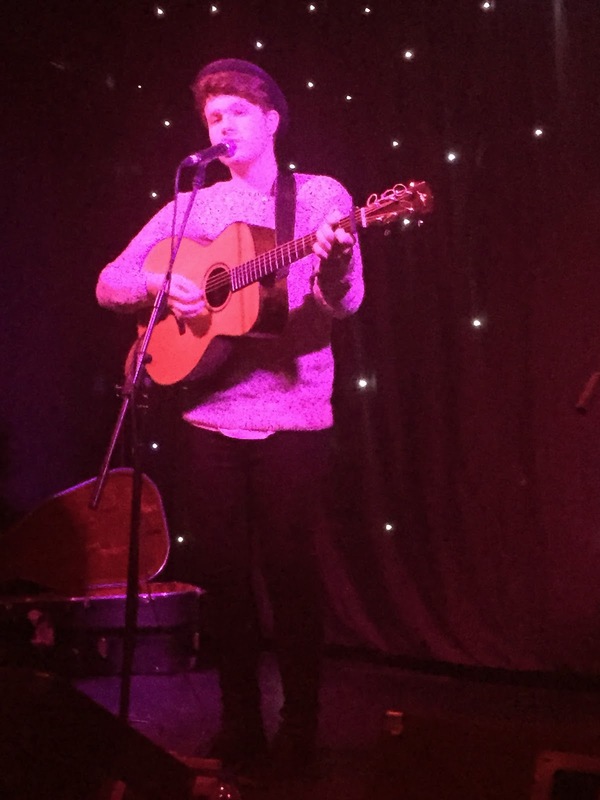 Luke’s solo set was punctuated with an abundance of songs reflecting his growing grasp in the art of penning a track to impress and reserving special mention to ‘Ghost of the Crossroads’, ‘Sister’, ‘Father and Son’, ‘Out of Time’ and ‘Misspent History’ does not do disservice to those omitted from this list. While the folk world has laid claim to Luke Jackson, those labelled with raising the profile of Americana in this country would do little wrong in eulogising about an artist who is no doubt in a similar mould to Parker Millsap. Without wishing to gloss over his English heritage, just imagine a Luke Jackson exploring the delta, mixing with Nashville’s finest and cutting it in the live Austin scene for a short period before returning to ultimately spearhead a British invasion into the upper echelons of Americana music. Maybe that’s for another day, year or decade so let’s end in the present and state that alongside Amy Wadge, Luke Jackson played a gig to remember in Birmingham this evening.